Anyone the slightest bit interested in technological advancements will know that there have been some considerable developments within the field of artificial intelligence over the past ten years. TED talks, podcasts and international conferences all tell us the same thing – it’s time to get seriously excited…and maybe a little bit concerned. The last step for A.I. is considered by many to be self-awareness. Emotions will make A.I. more human, but are not necessarily essential in order for A.I. to become capable of learning, solving problems and making decisions as a free-willed being. Depending on which definition you go by, sentient A.I. may be closer to reality than most people think. Before we start worrying about self-aware or sentient robots deeming us inessential burdens on the earth, destroying humanity and taking control of the world, it’s worth considering the implications of present-day robots that outperform humans at tasks we would have previously thought could only be accomplished by people. Many are surprised to learn that the ancient Chinese game of GO is even more complex than the more universally popular strategy game of Chess. In fact, GO is so complicated, that the game’s total number of possible outcomes is greater than the number of atoms in the visible universe. A single game has been known to last for years. Needless to say, it was a huge milestone for artificial intelligence the day it beat a world champion at the game. Google-owned AlphaGo claimed its victory in 2016, when it beat Lee Sedol 4-1 during a game that lasted no more than a few hours. Early on in the game, the program made a serious mistake after being outmaneuvered by Sedol. The fact that AlphaGo was able to recover is a testament to its advanced computing. Poker, though also a complex game, is considerably more simple than GO – so one might initially be less impressed about an A.I. beating a top poker professional. But poker, unlike GO, is a game of chance – or at least to a degree. Poker is a big deal for A.I. development because it deals with so-called ‘imperfect information’. Psychology and intuition are necessary to make up for those variations in the game which are impossible to predict. Scientist have long realized poker to be one of the hardest games for A.I. to crack – so how has one A.I. program recently succeeded in consistently winning at the game? The program, called Libaratus, uses game theory (the mathematics of strategy-based decisions) to choose the best strategy for various scenarios. Since so many possibilities exist for each move, and some cannot be said to be better than others, Libratus uses approximation. 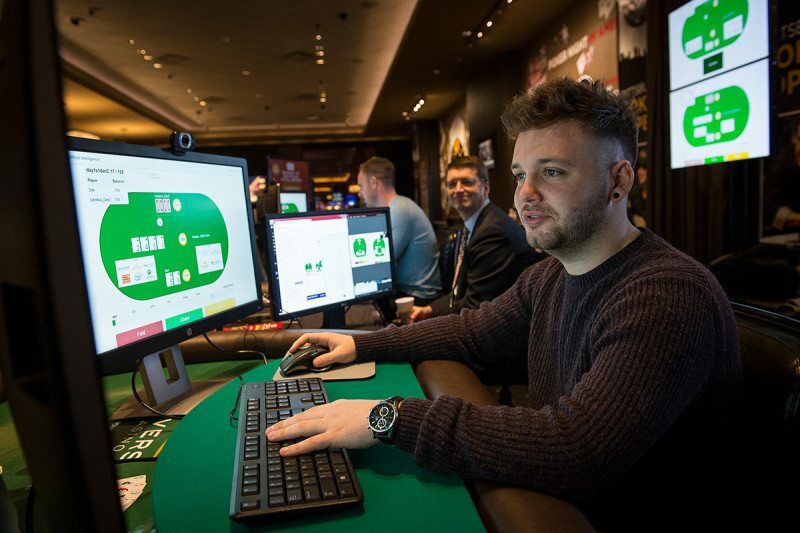 For example, the program can choose when to bluff and when not to bluff based on randomized system which mimics the behaviour and player patterns of poker pros. It has gathered data and formed its understanding of these behaviours and patterns by playing poker against real opponents online thousands of times over, learning and improving its algorithm with each game. In other words, while Liberatus can’t win at poker by thinking like a human, it can win by playing in a style that reflects the thinking of a human. Though saying that artificial intelligence can currently or soon become better at doctoring than humans is a sweeping – and inaccurate – statement. There are now ways, however, that artificial intelligence can be used by doctors to improve health care. Today, artificial intelligence can act as an extensive and universally accessible database that interprets symptoms and offer suggestions on the most likely diagnosis and the best treatment for any given patient by drawing from its advanced information centre. Whilst the number of medical conditions a human doctor can be familiar with is of course limited, A.I. systems could theoretically possess knowledge of every known condition on earth. It’s not just a case of inputting a list of symptoms into a medical-based search machine. This A.I. will also take into account the patient’s medical and family history, their age and gender, whilst employing numerous case studies in seeking out similar past medical scenarios. It may not be long until the A.I. is sufficiently advanced to be able to also theorise on possible treatments for patients that have unknown or rare conditions. Unlike a human, this technology would also be devoid of biases and assumptions formed either by emotion or past experiences. Small and largely unnoticeable abnormalities may not go unconsidered in the same way they might for a human doctor. Speech recognition technology has become extremely advanced in a very short period of time. It wasn’t that long ago we had to loudly speak with exaggerated and accent-less clarity, with a second pause in between each word, in order to be understood by any such technology. Yet there have recently been multiple milestones in the development of speech recognition systems to not only understand the words being uttered, but also interpret the meaning behind them. Nowadays, speech recognition can accurately interpret speech in multiple languages and accents – even providing real time translations. More astonishing yet – it is getting to the point where the technology can recognize emotion in the speaker’s voice, or understand how a certain intonation can change the meaning of a sentence. It is feasible to think that artificial intelligence will be used for basic customer support and helplines in the near future – and that’s just the beginning of the countless ways that A.I. speech recognition could be implemented. Robots have, for a long time now, been capable of processing millions of images and recording exact facial measurements for the purpose of facial recognition. Indeed, such technology has been used for years in law enforcement and missing persons investigations. However, what has recently become exciting about this technology is its ability to interpret emotions based on facial expressions. Software such as the Apple-owned Emotient can detect even miniscule changes in facial expressions – such as a slight muscle twitch. As such, it is a difficult software to fool no matter how good you are concealing emotions. The uses for such artificial intelligence are multitude, ranging from marketing to counselling, and it’s feasible to imagine that A.I. might eventually become better at detecting lies in courtrooms or deception in interrogation scenarios than humans. No matter which way you look at it, the growing capabilities of artificial intelligence will have a huge impact on the world’s workforce, while also prompting us to question our own relationship to technology and our understanding on the limits of our intelligence. The next few years will present an exciting, if not daunting, time in the history of technology.